The Atlantic Ocean, the Indian River, the North and South Forks of the St. Lucie River, and countless creeks played major roles in the history of Martin County. Inhabitants depended upon the bounty of the water, as did the pioneers who settled here in the late 18oos. Early visitors came via the Florida East Coast Railroad. They were mostly outdoorsmen who came to hunt and fish. In 1911 the Stuart Commercial club, later to become the Martin County Chamber of Commerce, was formed to promote the region and facilitate road and waterway improvements. 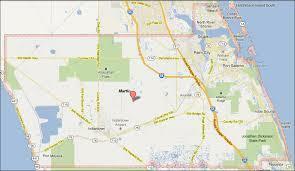 Stuart was incorporated in 1914 and Martin County became an official county on August 5, 1925. During World War II Witham Field was built to train Navy Pilots and Camp Murphy was built as an Army Signal School. Coast Guard facilities expanded on Hutchinson Island and lookout towers dotted the landscape. As a result, many servicemen married local girls and they returned ti liven in the area after the war. Jonathan Dickinson State Park was created with the land that was formerly Camp Murphy. Stuart became the Sailfish Capital of the World and still today it is a fishing mecca. With all the waterways, there are numerous marinas and related commercial development in the area. Martin County is one of the fastest growing counties in Florida. It is now home to many bio tech companies as a result of Scripps locating Palm Beach County just to the south. Protecting the environment and controlling the growth are high priorities of the local governments.